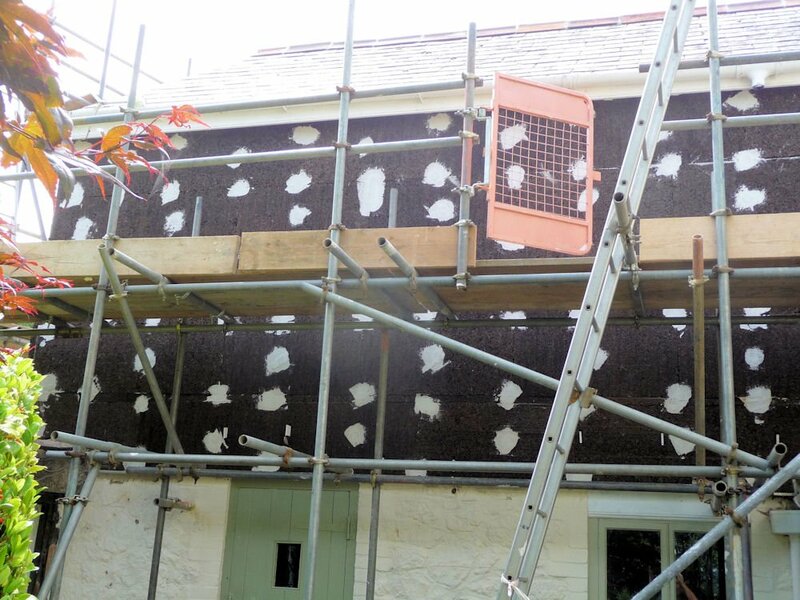 We were called out to a much altered building within the Dartmoor National Park Conservation area. The building was suffering from a lot of damp and was cold and hard to heat. The owner wanted to improve the insulation and dry out the building. The original solid wall, single storey building had a second floor constructed in the 1950’s with a cavity. At a later date, this had been subject to cavity wall insulation fill and cement render and modern acrylic masonry paint. We advised for the need to remove the existing cement render and the modern masonry paint to allow the existing damp to escape.